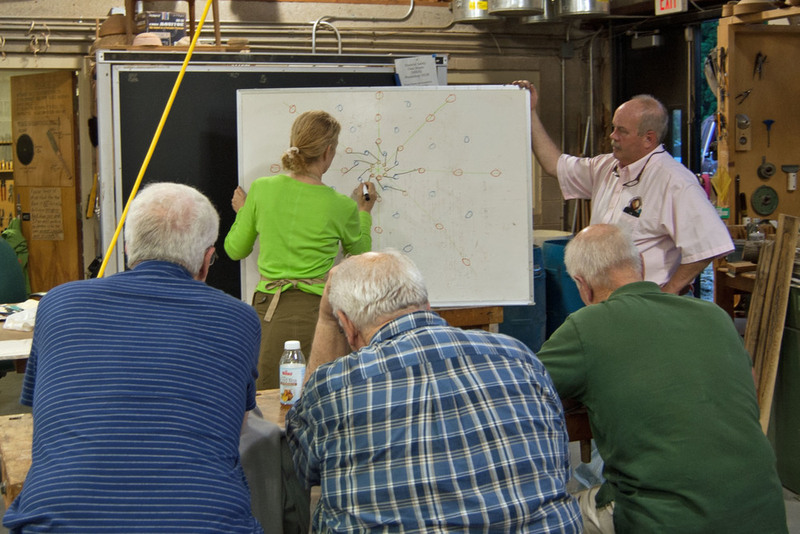 The May meeting was certainly the place to see how much fun a Hands-On-Workshop could be. 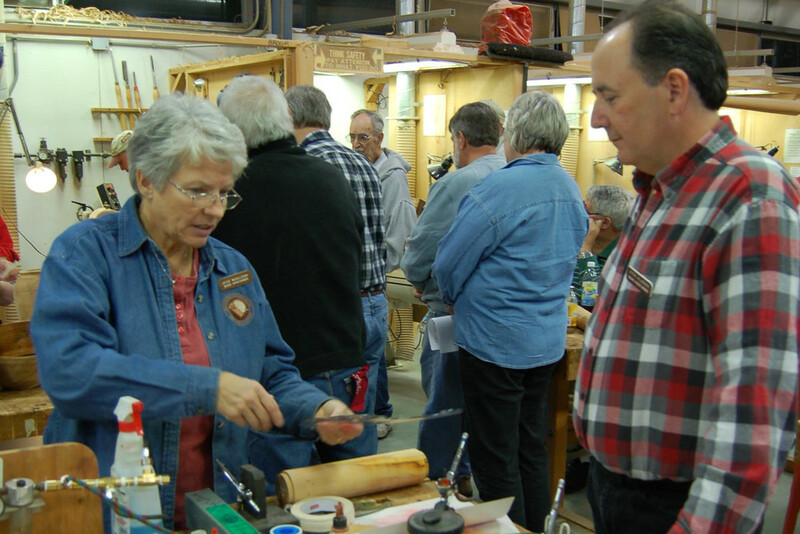 In past years, HOWs would be held at member's workshops as an opportunity for newer members to get some one-on-one instruction in some aspect of turning. This year, the club extended the season, and included something new- the mini-HOW. Barry Gross stopped by our April Meeting and gave us a great demonstration on how to stabilize wood and then use those pieces to make an elegant bangle. At our February meeting Bob Rosand demonstrated an elegant box that his friend Ed Moore showed him some time ago. 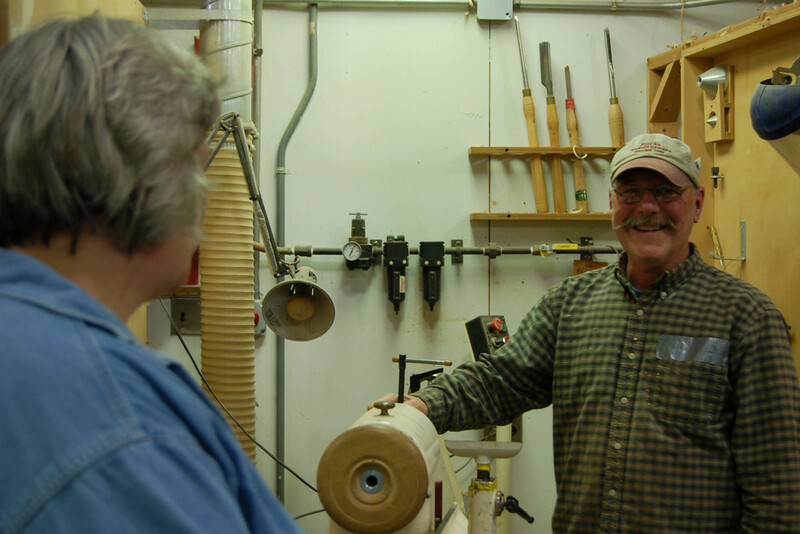 I recently met Bryan Lane who has just opened a sawmill/millwork business. With this Chapter Bulletin, we are providing you with an issue of our signature digital publication, Woodturning FUNdamentals. Normally available to AAW members only, we encourage you to distribute this publication to all chapter members regardless of their AAW membership status. 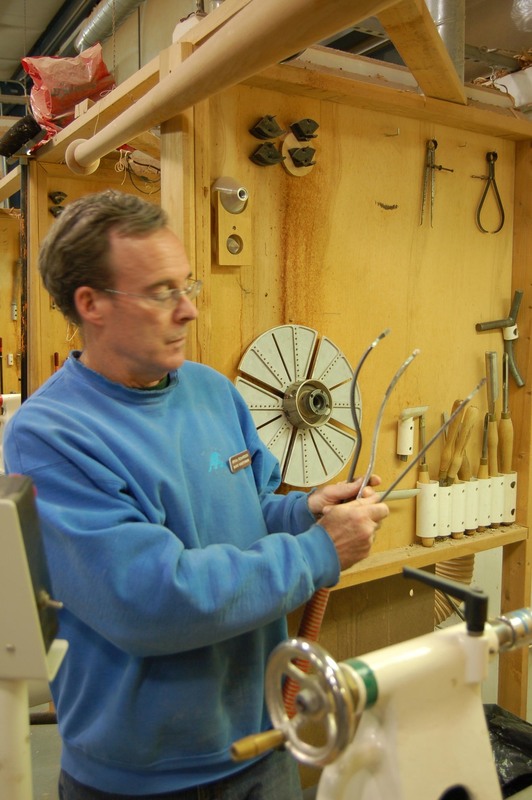 Woodturning FUNdamentals is released in alternative months to our American Woodturner journal. By sharing this publication with your entire chapter membership, we hope to illustrate one additional benefit of AAW membership. 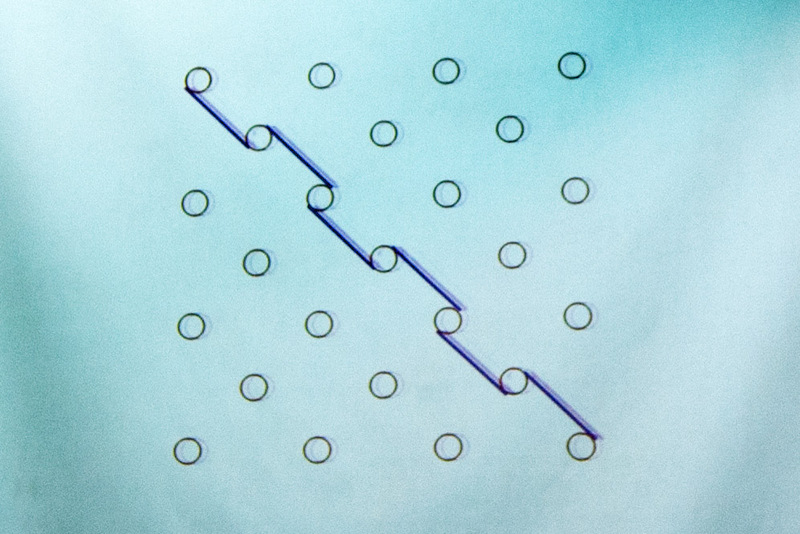 Curious about tangential segmented turning? Here are some step by step photo's of how I built the forms for the recent President's Challenge (to make something from a wine rack kit). “New Hope/New York,” on view at the New Hope Arts Center, amounts to 10 exhibits in one. Ten artists each contributed a spectrum of work. Gallery director Carol Cruickshanks calls the assemblages “suites,” many of which contain new works. 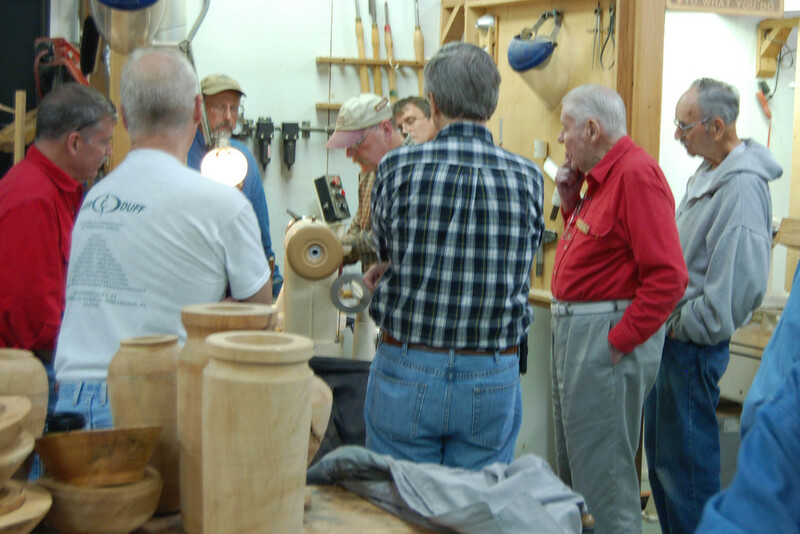 The Bucks Woodturners again presents its unique H-O-W program of workshops taught by its own experienced members, volunteering their time and their shops for the educational benefit of club members. There are sessions of interest that run the gamut from novice to expert. Everyone can learn something to expand their capabilities. Examine the descriptions and the dates, and make your selections ASAP. Sessions vary in length: half day or one day events. Here is the Bulletin from the AAW, their primary means of communicating material of general interest . 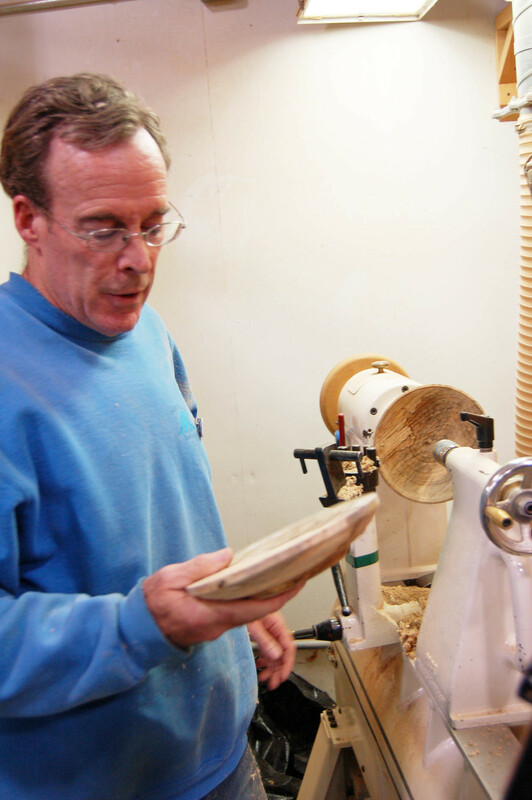 Press "Read More" to find information on Scholarship winners, Insurance, the 2015 Symposium in Pittsburgh, and the December issue of American Woodturner. Mark Sfirri describing his work at the November Bucks Woodturners meeting. Here was a demonstration not to be missed. 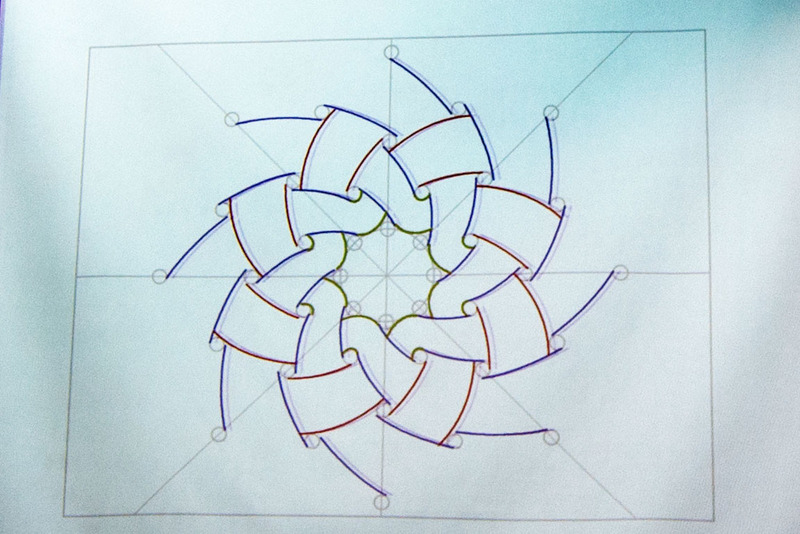 Mark Sfirri entertained and educated us on the wonders of multi-axis turning for our November meeting. As shown above, Mark walked us through the methods and evolution of his artwork using the various pieces he had on display. It was unanimous! Everyone had a great time at our Hands-On-Workshop at last month's general meeting. 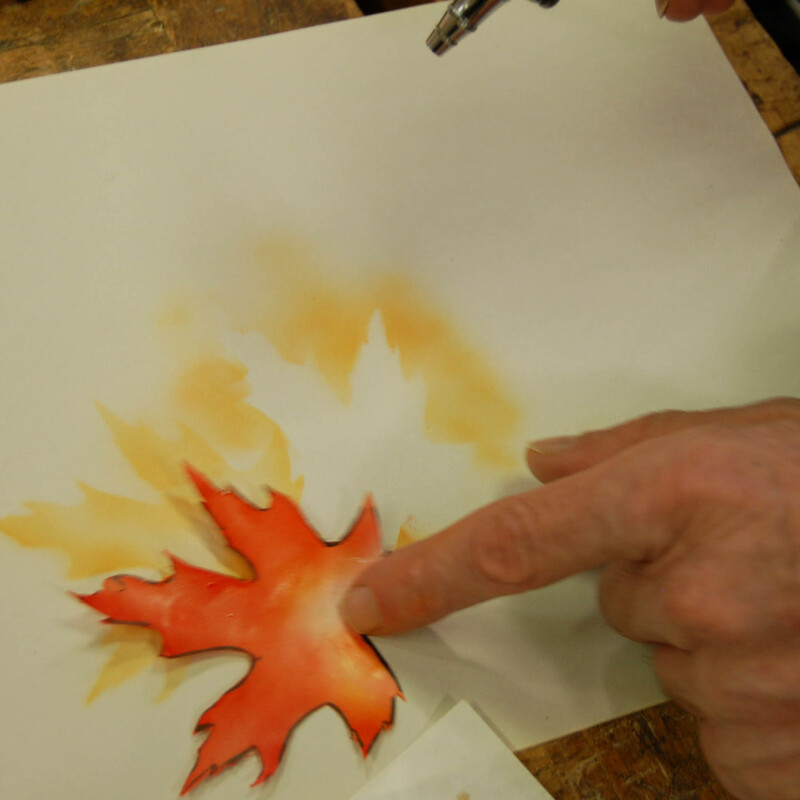 If you missed it we had Joyce McCullough, Michael Kehs, John Williams, Ed Ryan and Bud Hohlfeld doing simultaneous demonstrations of airbrushing, pyrography, surface texturing, and turning. A number of us really got to put our hands on the tools and the work for a real up-close demonstration of what these masters do. Jim Ruocco and friends check out Bryan Richardson's coring sample. Joyce had everyone amazed by her airbrushing work. She really made it look easy as she demonstrated the use of a couple of different airbrushes, stencils, mixing paints, cleaning tools and pretty much anything you had a question about. Joyce and Nancy Rourke discuss the finer points of airbrushing. Joyce patiently coaches Ward Stevens to use a little more air for better effect. Joyce showed us how to use both positive and negative masks. Joyce demonstrates a couple of key techniques with Steve Hillerman. After a few minutes of instruction, Steve is now an expert airbrusher. How many of us have heard about coring, but have never seen it done? 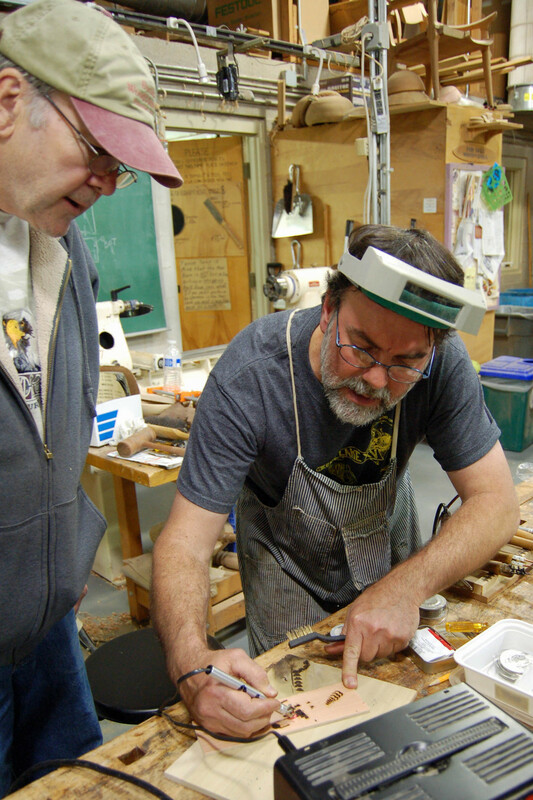 Bryan Richardson brought along his coring tool, several bowl blanks and many hours of real experience to share. Bryan shows a couple of his go-to coring tools. Planning is important- you have to know where you are going. Here's where the action is and how his McNaughton-style coring tool works. Bryon starts the tool on the side of the blank rather than the top for this particular blan. Bryan, Phil Hauser, Linford Sine and Joe Seltzer discuss the finer points of coring. With his supercharged burner ready to go, Michael Kehs put on a fiery display pyrography. As always, Michael was very generous in sharing the technical details of how he accomplishes the fantastic surfaces of his artwork. Tom Gall, Tom Barnes, Joe Seltzer, and Mike Tanner watch as Michael Kehs scribes a line. Michael gives a little one-on-one instruction to Tom. Tom tries his hand at pyrography. Bud turns a Hobbit box with a fine finial – a perenial favorite of the HOW program. 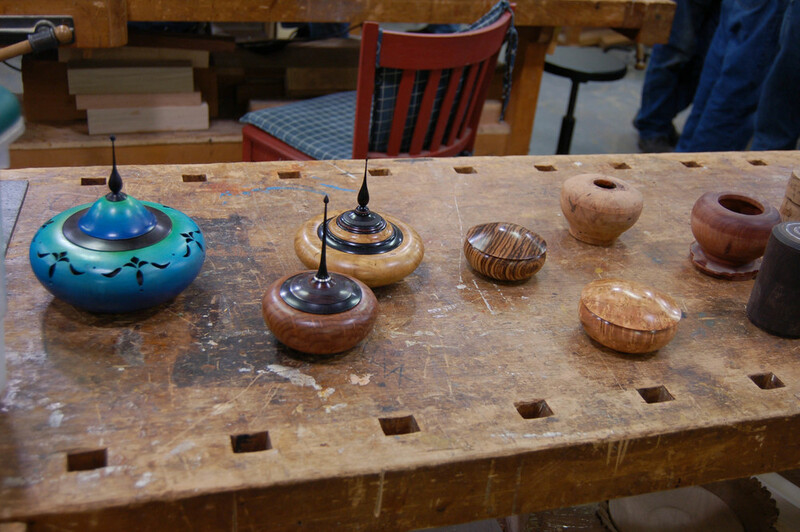 Bud demonstrated his box turning skills and how to create a loose lidded top with a finial. Bud Hohlfeld gets ready to demonstrate. Tip 1. Tape your pocket to keep shavings out! A big crowd gathers to learn some tips and tricks. Bud brought along some sample of his work. Lisa Sensigner talks with Bud about his work. John Williams brought his burner, the tools he typically uses, and some colored pencils. 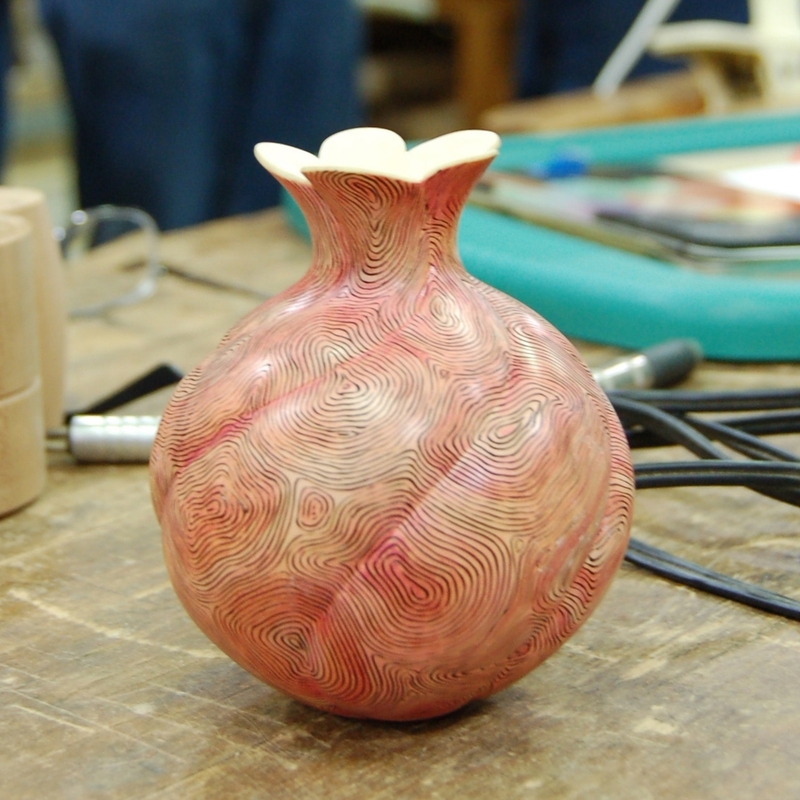 Expert turning, carving, pyrography, coloring, and finishing will get you a vessel just like John makes! 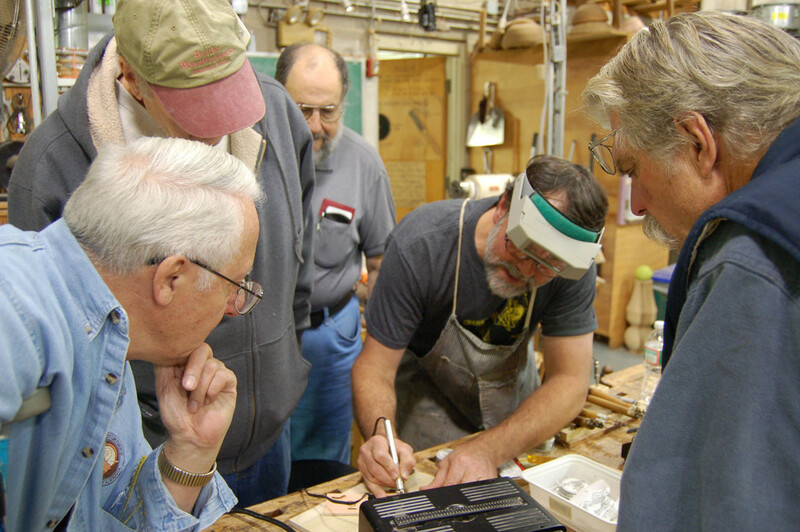 Keith Nelson and Matt Overton look on as John Williams demonstrates his signature pyrography. One of John's key teachings- patience and attention to detail. Here he is using colored pencils to add color to his work. A close-up of John's demonstration board.. If you were there, John shared his secrets of how he hollowed this vessel, as well as how he created his signature look. 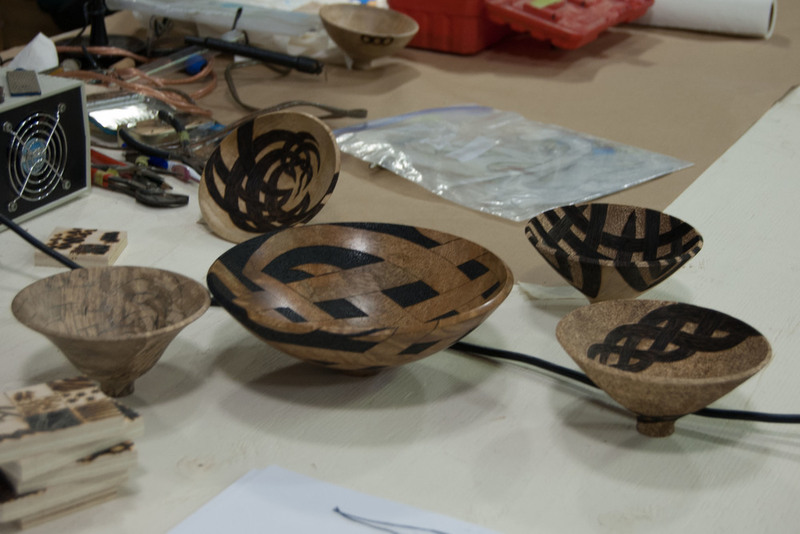 Ed Ryan demonstrated some simple turnings, but don't be fooled there is a lot of technique and know-how involves. Ed makes everything look easy- but if you pay attention, and practice, pretty soon you'll have some turnings you can be proud of. Ed Ryan attracts a big crowd as he turns some basic items ideal for small gifts. Here are some napkin rings some of Ed's young students turned. Bill Weist, Litton Frank, and Rick Baker look on as Ed works on a spatula. Here is a small vessel Ed demonstrated that has a quick and attractive decoration on its base. Newcomer Thomas Gillen wins one of Ed's turnings just for asking good questions! Everyone seemed to have a great time and our demonstrators did a great job of providing techniques and tips to turners of all levels. Thanks to everyone who came, and, especially, to our demonstrators. Job well done! 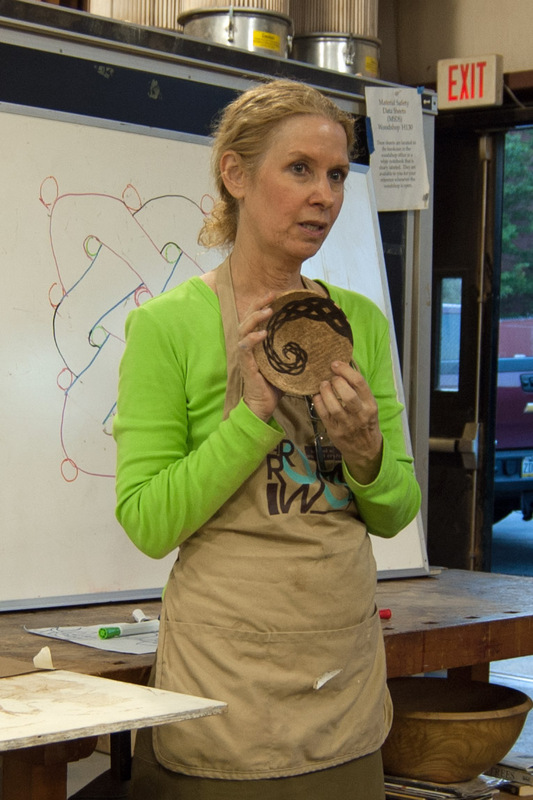 On June 16th Sharon Doughtie came to the Bucks County Community College Workshop to talk about her art and demonstrate the various techniques she has employed over the years. Look again for her presentation materials...coming soon.